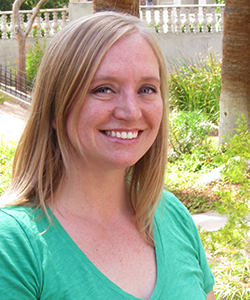 Sara Troy leads and manages the program development team. Her primary focus lies in creating programs that facilitate students’ ability to achieve their academic and personal goals. Sara holds a Master of Science in Educational Leadership from Miami University (Ohio) and a Bachelor of Arts in French from the University of Central Missouri. Prior to joining CEA, Sara worked with another study abroad organization with a focus in student recruitment and university relations. She's also been a Scholastic Standards Advisor at the University of Northern Colorado, Program Coordinator for the Border Studies Program at Earlham College, and Residence Hall Director at the University of North Carolina. 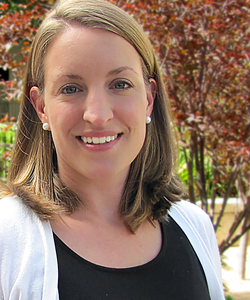 Sara serves in NAFSA's Trainer Corps, which delivers NAFSA Core Education Program Workshops throughout the year. She has delivered the CEP workshops for Campus and Community Programming and the Expanded Roles of the Education Abroad Advisor. Additionally, she has presented at many state and regional conferences for NAFSA and NACADA. Sara first travelled to Paris after high school and subsequently spent her junior year of college studying in Rennes, France. Other travels have led her to Dublin; Belfast; Cuidad Juarez, Mexico; Rome; Florence; San Jose, Costa Rica; and all over France, from Normandy to the Loire Valley to the gorgeous Cote d'Azur. Sara would love for her next personal adventure to take her to Scotland where she’ll explore the Moors, the Highlands, and the castles while wearing warm, Scottish sweaters. Sara believes students shouldn't let fear guide their lives: "Try to look at each new possibility, regardless of how scary it might be as an opportunity to learn, grow, and do something different. Be open to new experiences. Cast judgment aside and be willing to learn about a new culture, different ways of life and living." 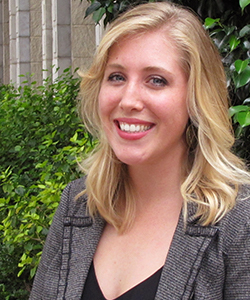 Cynthia Engel oversees and manages CEA’s internship abroad programs. Her primary focus is ensuring that students are able to engage in an academically rigorous and quality pre-professional experience that will inform their professional pathways upon graduation. She works hand-in-hand with CEA’s academic team and CEA Study Center staff to cultivate internship placements and academic programming that support students’ integration in their field-based experiences abroad. She also works closely with CEA’s enrollment, university relations, and marketing teams to build awareness of CEA’s internship programs, obtain university approvals, and align CEA’s internship model with student and university needs. Cynthia comes to CEA with 18+ years in international education, including eight years directly related to internship program management and development in Europe, Central Asia, and Oceania. 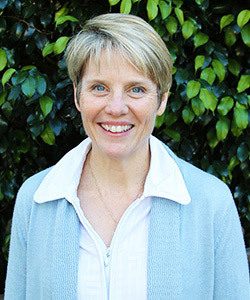 After completing a master’s degree in Comparative and International Development Education (CIDE) from the University of Minnesota in 2000, Cynthia was fortunate to be a part of a team tasked with building the student development and international programs components of a new branch campus of a major research university. From there, she turned her focus to developing academically rigorous international internships as part of a university consortium in the Western U.S. After 16 years in the field, she chose to take a break from higher education to gain some experience in the dynamic and fast-paced world of start-ups as a strategic communication and program development consultant. Cynthia’s passion for the remarkable learning and growth that can come from well-facilitated international experiences brought her back to international education and to CEA. Cynthia worked and studied for several years in France and worked for a year in Japan, as well as throughout Europe, Australia, and New Zealand. She has travelled extensively throughout SE Asia, West Africa, Western Europe, and South America, and she speaks French at a non-native level of fluency. Cynthia’s passion for travel and the field of international education is born from a belief that if we continually seek to understand and honor others, we are better able to understand ourselves and then recognize the interconnectedness of each of us in the process. She believes creating opportunities to experience the world in new ways is one of the best pathways to truly internalizing a respect for the diversity of lenses through which we all perceive and interact with each other. As Senior Program Coordinator, Margit manages CEA’s internal systems and program data updates, and maintains critical program information such as dates, prices, and course offerings on the website and student web portal. In addition, she provides specialized administrative and logistical support for program development and global operation initiatives, develops training modules, and assists in the documentation of program policies and procedures. In this role, Margit interacts heavily with CEA international staff and consistently works to enhance connectivity with our international colleagues. 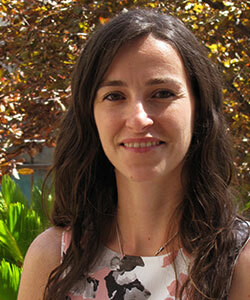 Margit is originally from Slovenia and holds a degree in Political Science from the University of Ljubljana, Slovenia. Margit started traveling abroad at an early age and has since checked 20 different countries off her (long) ‘must visit’ list. During her studies, she participated in two study abroad exchanges—at the University of Miami in Miami, Florida, and at the University of Arizona in Tucson, Arizona—which gave her the opportunity to immerse herself in the American education system, culture, and customs. Prior to joining CEA, she worked for the Embassy of Slovenia in Washington D.C. as a Consular Advisor. Margit speaks 3 languages: English, Slovenian and Italian. As the Program Development Coordinator, Olivia is responsible for supporting program development initiatives to align, grow, and expand CEA’s program portfolio. She works collaboratively with CEA’s Academic Affairs, University Relations, Enrollment, and Marketing teams, as well as the staff across CEA’s international locations, to accomplish this work. Her passion lies in creating accessible programming for students traditionally underserved in education abroad. Olivia holds a Bachelor of Arts degree from Gustavus Adolphus College in Saint Peter, Minnesota. Prior to joining the Program Development team, she served as an Admissions Counselor in the CEA Enrollment department for just under two years. She has volunteered in various capacities for Lessons From Abroad and the Forum for Education Abroad. Olivia studied abroad in Rome, Italy as an undergraduate student. Other travels have brought her to the Netherlands, Germany, England, Scotland, New Zealand, France, Mexico, Belize, and all throughout Italy. Based in Phoenix, AZ, Sadi’s primary focus is to holistically prepare prospective internship students for their experience abroad. Through interview coaching, resume and cover letter reviewing, and goal-setting, she works closely with the International Placement Coordinators to align students’ internship placements with their goals and interests. She strives to make this process as comprehensive and seamless as possible. Sadi hails from Washington State where she completed her undergraduate degree in Business Administration, specializing in Marketing Management. She earned her minor in Spanish Language & Literature while studying and volunteering abroad in Seville, Spain. She also earned a certificate in Career Coaching through NACE (National Association of Colleges & Employers). Sadi brings experience in non-profit management and marketing to CEA to support the development of CEA Internships Abroad programs. She has travelled, volunteered and studied throughout Europe, Africa, Australia and South America and she speaks conversationally in Spanish. Sadi’s passion for immersive travel experiences led her to the field of international education. She believes in creating meaningful opportunities that help us understand and support others, which is increasingly important as the world continues to be even more interconnected. Through interview coaching, resume and cover letter reviewing, and goal-setting, Christopher Adams holistically prepares prospective internship students for their experience abroad. He collaborates with the onsite Placement Coordinators to align students’ internship placements with their goals and interests. He strives to make this process as comprehensive and seamless as possible. Before joining the team at CEA, Christopher worked as a language educator in the K-12 environment, opting for language immersion experiences, especially those abroad, whenever he could. In addition to teaching Spanish courses in public and private schools and Summer immersion programs, he directed the AATSP-GA Spanish Immersion Camp Weekend and the Barcelona Summer Immersion Program for Abbey Road Programs. 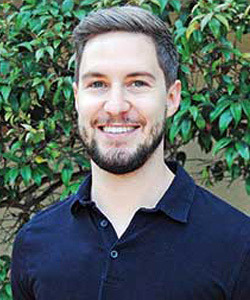 After five years as a language educator, Christopher returned to graduate school and completed an experiential Master of Arts in International Education Management at the Middlebury Institute of International Studies at Monterey, California. During his coursework, he completed graduate partnership projects with Diversity Abroad, the University of California—Santa Cruz, and Middlebury Schools Abroad in Spain. Christopher has worked, interned, studied, and traveled extensively throughout Spain. He has also traveled in Western Europe, the Middle East, and North, Central, and South America. He has a near-native level of Spanish proficiency and dabbles in learning any other language he encounters. Christopher’s passion for language education and intercultural competency development has led him to the field of international education. He believes that we can better understand each other through the change in perspective and self-reflection that often accompanies crossing cultures. As a Program Development Specialist based out of Denver, Colorado, Shayna oversees program research and development initiatives, helping to create new study abroad programs around the world. She focuses on building mutually beneficial partnerships with international universities and academically rigorous opportunities for students. Her desire to facilitate student success and to support universities in reaching their internalization goals drives her as she collaborates with her team to develop new programs and university relationships. Shayna is a dedicated scholar-practitioner, incorporating theories of international education and student development into program design and assessment. She holds a Master’s degree in International Education Management from the Middlebury Institute of International Studies. Throughout her education and career, Shayna has concentrated on access and equity for diverse and underrepresented students and creating effective, efficient processes and procedures. Shayna believes if we teach with purpose, think critically, reflect on ourselves and our world, and build bridges together, we may finally learn what a just and peaceful society looks like. Well-designed education abroad programs are some of the most powerful tools we have to work towards that vision. Shayna thinks we can all benefit from learning new languages, gaining intercultural communication skills, and engaging thoughtfully with people who are different from us. She has volunteered, studied, worked, lived, and traveled abroad in Cuba, the Dominican Republic, Mexico, Guatemala, Belize, Panama, the UK, Israel, and Spain. She speaks Spanish at near-native proficiency and is actively studying Russian. Assessment & Accountability - Evaluating Inclusive Practices and Policies Toward Strategic Change. Diversity Abroad Conference, 6th Annual. Co-presenter Erica Ledesma. Miami, FL. April 2018. Leveraging Internationalization Efforts with Underrepresented Students in K-12 & Higher Education. Diversity Abroad Conference, 6th Annual. Co-presenter Abel Estrada. Miami, FL. April 2018. Navigating Narration: Exploring Intersectionality and Counter-Stories Abroad. NAFSA Region XII Northern District Conference. Co-presenter Ashley Bayman. Monterey, CA. March 2018. “Capitolizing” on Student Development Theory: Enhancing Learning for All Students. NAFSA: Association of International Educators, Region XII Conference. Co-presenter, Dr. David Wick. Sacramento, CA. 2017. Logic Model Frameworks in International Education. Co-facilitator, three-day workshop, with Dr. Sandi Smith and Dr. David Wick. Monterey, CA. 2017. Intercultural Competence & Language Acquisition in Immersive Environments. Rotary Youth Exchange Pre-Departure Workshop. Co-facilitator, one-day workshop, Dr. Paige Butler. Carmel, CA. 2017. As a Regional Director based out of Portland, OR., Giustina Pelosi works closely with university advisors, faculty and staff to support the student exploration, advising and registration processes as well as to identify ways in which CEA can assist in the success of the campus’ agenda for internationalization. 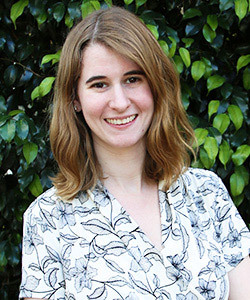 Prior to joining the University Relations Team at CEA, Giustina worked as the Faculty-Led Programs and International Internships Advisor for Portland State University. Giustina has held several positions across the field of international education including work with IE3 Global Internships, the Academy for Global Exploration, and the Hillsboro School District’s Migrant Education Program. Furthermore, she has been very active in developing and leading re-entry programming including serving as Co-Chair for the NW Returnee Conference on Education Abroad as well as developing peer advisor programs to serve as ambassadors on several campus’ throughout the Northwest. Giustina has studied abroad both in Spain and Italy, worked as a volunteer English Teacher in Ecuador, led students through Costa Rica and Nicaragua, and enjoyed travel to many more countries. 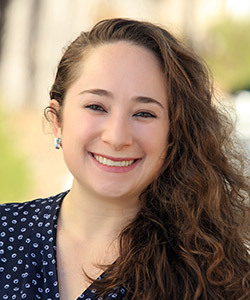 Currently, Giustina is a member of the founding leadership team for PDX Abroad, an association for education abroad professionals in the Portland area, and serves on the NAFSA’s Financial Aid Subcommittee for Education Abroad Rules & Policies (EARP).